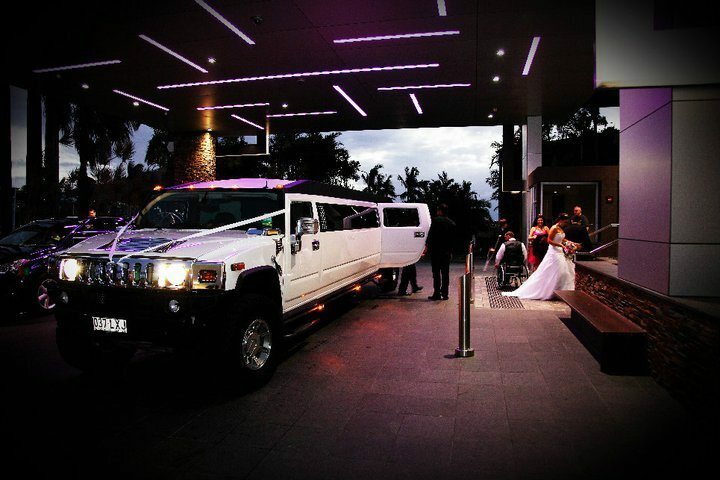 Townsville based Hummer Events operates two luxurious stretch Hummer vehicles catering for all events and occasions north, south and west of Townsville. Seating up to 14 people, the immaculately presented Hummers boast an impressive list of attention grabbing features. Hummer Events will transport you to your next special event in style, comfort and absolute luxury and with our first class, professional service, you can be guaranteed your arrival experience is memorable and spectacular. 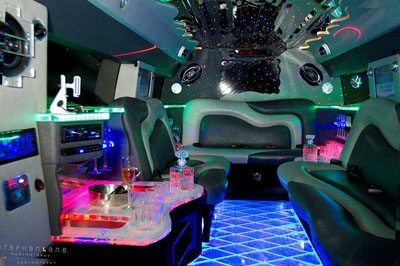 Hummer Events will make sure that every aspect of your journey is pleasurable and memorable. 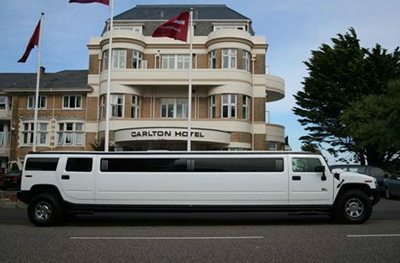 With our immaculately presented white Hummers stretching up to 9 metres, you will be in a class of your own. Our professional and friendly chauffeurs will ensure that every part of your arrival experience is attention grabbing and spectacularly unforgettable. The video below lets you take a look inside one of our Hummers. You will feel like royalty as you sit back and relax in comfort and luxury. Feel free to bring your camera, favourite music to listen to and DVDs to watch while you enjoy the experience. Townsville's Hummer Events provides a first class service to all corporate clients and personnel. Hummer Events can pick up and transfer your important clients, individuals and groups in style, comfort and luxury. Our experienced drivers understand the importance of being professional and this ensures exceptional, executive and dependable service. We are dedicated to giving each corporate client the attention they deserve and our high standard of service will surely impress. If the inside of the vehicle is left in an unclean/soiled manner, a minimum cleaning fee of $330 will be charged to the hirer. The fee will increase with excessive soiling. Smoking or the use of drugs is not permitted in the vehicle at any time. Failure to adhere will result in the termination of hire without refund. Irresponsible, dangerous or intoxicated behaviour will not be accepted and will result in the termination of hire without refund. Handbags and small carry bags are permitted to be carried in the vehicle. No alcohol may be consumed during hire for school formals or for underage passengers. Opening of the emergency hatch is forbidden. This will result in termination of hire without refund. The hirer will be held responsible and liable for any damage to the vehicle, internal and external equipment, fixtures and fittings, caused by themseles or a member of their group. The cost of repair for such damages will be the responsibility of the person hiring the vehicle. If glasses are broken or missing, the hirer will be charged for the replacement at $15 per glass. If equipment provided in the vehicle including bar utensils, CDs, DVDs, LCD TVs, remote controls, karaoke equipment etc is lost or damaged, the hirer will be charged for the cost of repair/replacement. If there is damage to the vehicle which results in the vehicle being unavailable for hire, then the hirer of the vehicle at the time of damage occurred will be liable for losses resulting from loss of cancelled bookings, whilst the vehicle is being repaired. As security to cover potential breakages, damages or losses, credit card details are required at the time of booking. We do not take responsibility for the loss of any property left in the vehicle. In the unlikely event of breakdown of the vehicle which renders it unserviceable, we will endeavour to provide back-up vehicles. We will not be held liable for any consequential loss. 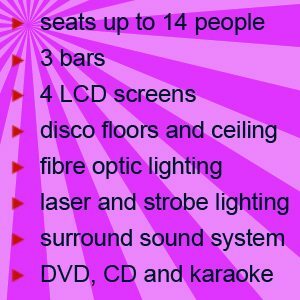 The hirer accepts that the CD, DVD and karaoke equipment is provided as a courtesy. In the event that the equipment malfunctions, Hummer Events accepts no liability whatsoevver and no compensation shall be provided. We always strive to arrive at pickup points in advance of the times agreed. Occasionally, events outside our control may cause us to be late. Security cameras are installed. This is a recorded system which is automatically sent to control office for use in subsequent indentification if necesssary. Insult or be rude to the chauffeur or other Hummer Events staff. Misuse or damage equipoment, fixtures and fittings. Damage Hummer interior or exterior. Urinate or defecate in vehicle. Open doors whilst vehicle is in motion.